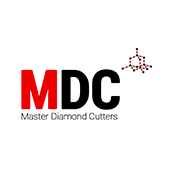 Master Diamond Cutters’ Know Your Cutter Tour is the second time that award-winning educator, designer, inventor and master diamond cutter- Mike Botha will present a series of diamond cutting and polishing engagements in the USA. “It’s not about selling diamonds- it’s about sharing our passion for high (light) performance diamonds and our commitment to crafting spectacularly beautiful diamonds” says Master Diamond Cutters’ Evert P. Botha, COO. At each of the diamond cutting and polishing engagements, individuals will have an opportunity to not only see a master diamond cutter cut and polish a diamond- they will also be offered the opportunity to get behind the wheel and experience cutting and polishing an actual diamond themselves, have their photograph taken and talk about their experience by sharing it (#knowyourjeweler, #knowyourcutter) on their Instagram, Facebook etc.